Remember that Dissidia fighting game? Square Enix isn’t developing it alone. Tecmo Koei’s Team Ninja is making it, too. Inside reports that Team Ninja is the game’s lead developer. Team Ninja, of course, is famous for its Dead or Alive fighting games and is bringing that know-how to Dissidia. 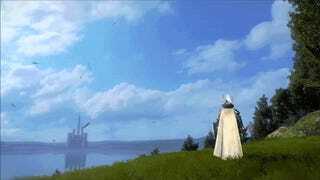 Certainly, Square Enix will have a big say in how the game turns out. According to Inside, the three-on-three arcade fighter runs at 60 frames-per-second, but isn’t powered by traditional arcade hardware. Instead, it is being developed with PS4 system tools that have been customized for arcades. However, don’t expect a simultaneous arcade and PS4 release. For at least a year, the game will be arcade only. After that, the logical assumption is that it will be released on the PlayStation 4. Oh, and Final Fantasy fans will be happy to know that Summons can be used while brawling. Maybe fighting game fans will be happy about that, too. Dissidia Final Fantasy hits Japanese arcades this fall.